For my family we enjoy pizza in the summer the most. We love not having to heat up the house on a hot day with the oven and just a drive to Little Caesars to pick up dinner. This particular trip to Little Caesars we planned to try the Soft Pretzel Crust Pizza and Cheese-N-Pretzel Dippers. I absolutely LOVE soft pretzels and was eager to try the pizza pretzel combo. 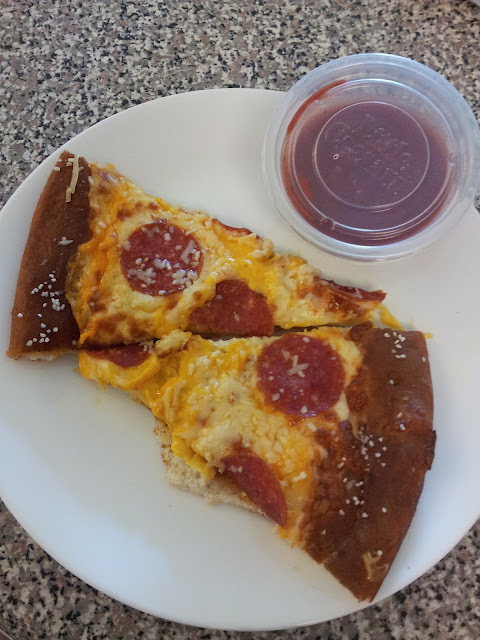 My son loved the Soft Pretzel Crust Pizza and wanted more of it after 3 pieces. It was a good pizza combo with the soft pretzel crust, I thought the pretzel cheese on it was a bit rich but my family loved it. I did eat like 4 slices of it, it was hard not to! The Cheese-N- Pretzel Dippers were delicious. 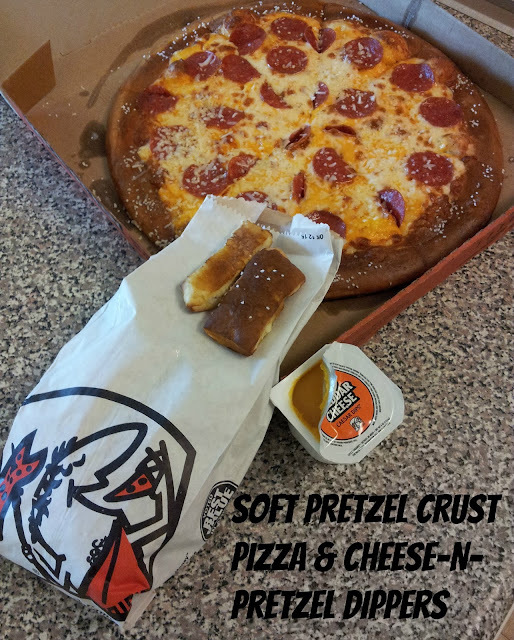 I have always been a huge fan of Little Caesars bread sticks and now I will be adding the pretzel dippers to my must have side items at Little Caesars. Little Caesars new CHEESE-N-PRETZEL DIPPERS are 16 savory pieces of buttery, salty, toasted, soft pretzel bites served with a side of warm, creamy cheddar cheese dip, all for $3.49. The Soft Pretzel Crust Pepperoni Pizza is a large specialty pizza that starts with a flavorful, buttery, soft pretzel crust made fresh daily in store. It is topped with creamy cheddar cheese sauce, a blend of 100% real cheese, and pepperoni, and then finished with an irresistible four-cheese gourmet blend of Asiago, Fontina, Parmesan, and White Cheddar cheese for just $7. Tired of the hassles of online ordering? Walk into Little Caesars and walk out with a large, Soft Pretzel Crust Pepperoni Pizza for just $7 plus tax! No need to call ahead, it’s HOT-N-READY every day between 4pm to 8pm or order anytime. 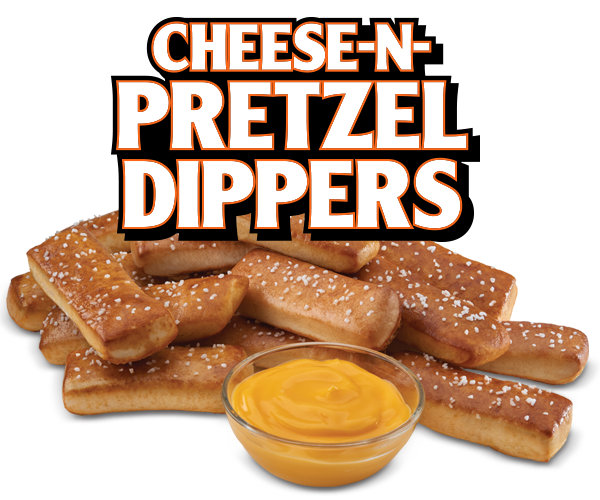 And if you love the taste of pretzel, add an order of delicious CHEESE-N-PRETZEL DIPPERS for just $3.49 plus tax. Available for a limited time at participating locations. Hurry over to enter the sweepstakes and let me know if you win! I am also hosting a Little Caesars gift card and carry bag giveaway here on Frugal Family Tree. Little Caesars $20 Gift Card and Little Caesars carry bag. *Limited to US residents 18 years old and above. Giveaway starts August 11, 2015 and ends on August 21, 2015 at 12:01 am EST. Winner will be emailed and has 72 hours to respond before another winner is selected. I was not paid for this giveaway or post. The opinions on this item are 100% mine and may vary from others. The sponsor is responsible for providing the prize. I was sent a product to review for this post. I would share this with my whole family. I would share with my husband and kids. It isn't a question of who I would share it with, it is if my family would share it with me. I would share these with my kids. I would share these with my niece! I would share with the whole family! I would share it with my daughters & my son. I would share these with my family. I'd like to share with my grand kids and husband. I would share it with my fiance! Who would you share your Little Caesars Soft Pretzel Crust Pizza and Dippers with?